The stories of people in informal settlements are rarely narrated; their lives are often invisible. Though they are paramount for the continuity of daily lives of every city dweller, their contributions are seldom recognized; their memoirs are seldom recorded. This video is an attempt to cast light on one story among the thousands of untold ones. Tucked away behind one of Bangalore’s most luxurious apartment complexes in Hebbal lies an informal settlement of waste pickers. 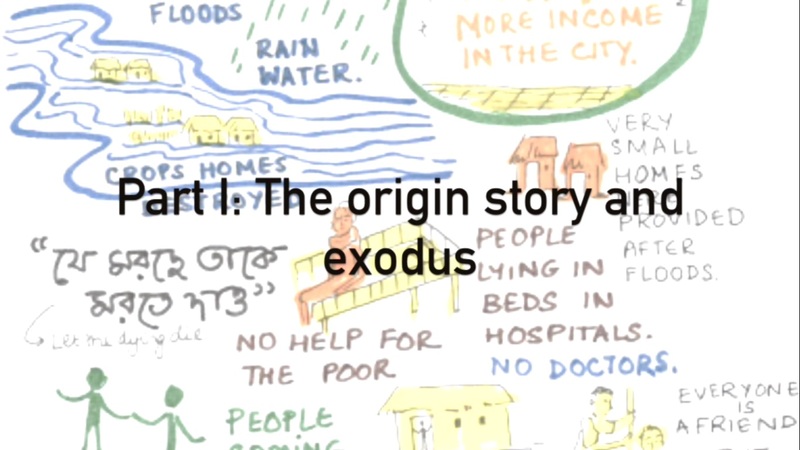 Remnik, an inhabitant of this settlement, is a distress migrant from West Bengal and the protagonist of this video. Here we try to contrast Remnik’s life in West Bengal compared to his life in Bangalore, the hardships he faces on an everyday basis and ask him what keeps him fighting through all his hardships. In this interview with ASSAR’s researchers, Remnik opens up about his life, his hopes, and his ambitions.